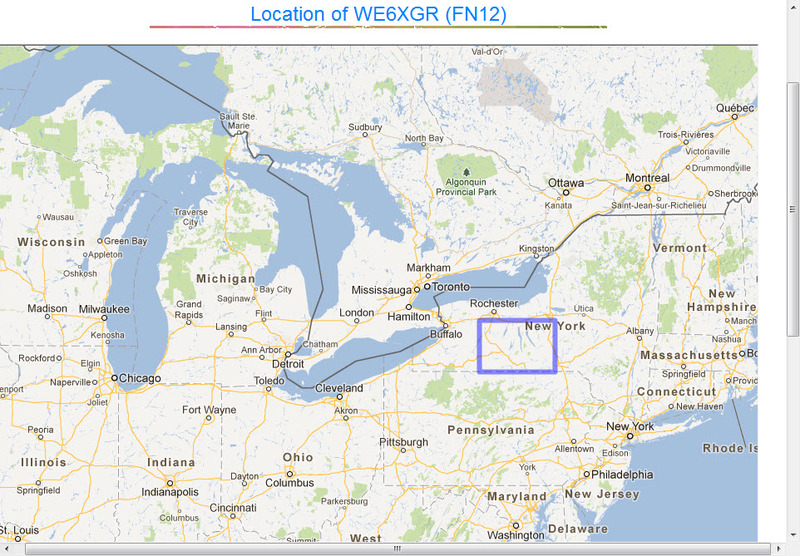 Tonight we had another very good Transatlantic propagation on MF (474.20 Khz). Here on WSPR screen you can see WE6XGR, from FN12lp, captured on my QTH, Zante Island Western Greece, (KM07js), at a distance of 7840 Km. 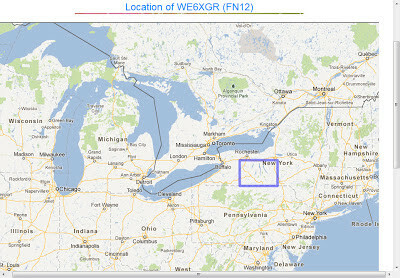 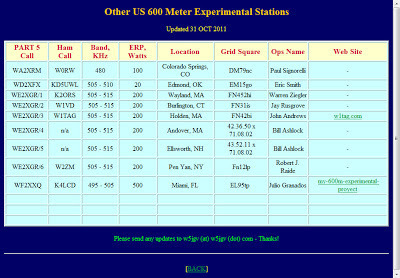 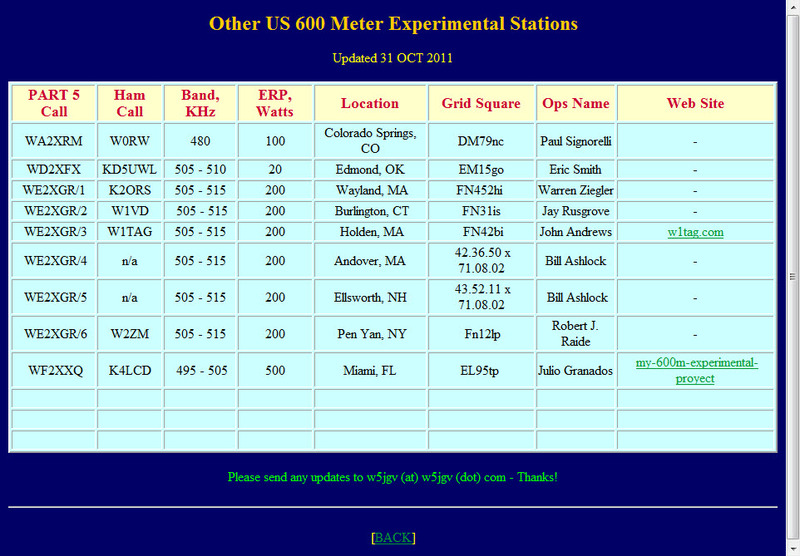 The experimental call is WE2XGR/6 issued to W2ZM, but he is using for WSPR tests the call WE6XGR to fit into WSPR format. 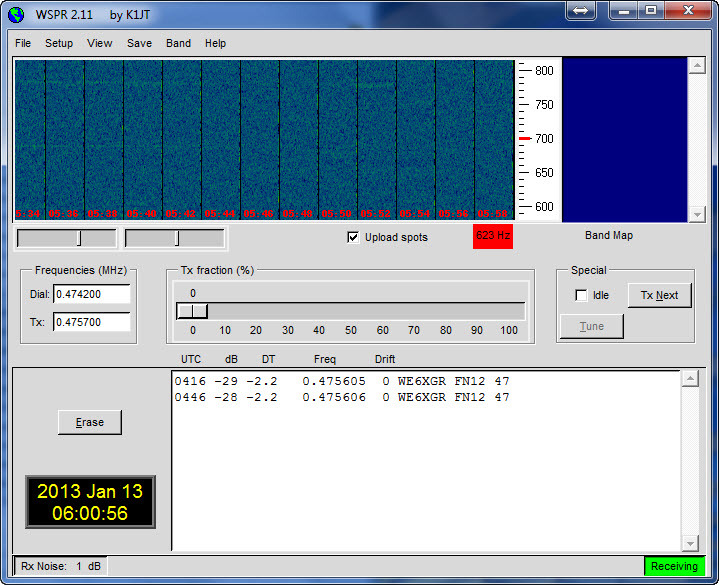 Earlier I had also nice WSPR capture on 136 Khz from DK7FC and IK1HSS.